Ants in the kitchen, around windows, and in bathrooms can be controlled with our wide range of products specifically designed for indoor use. 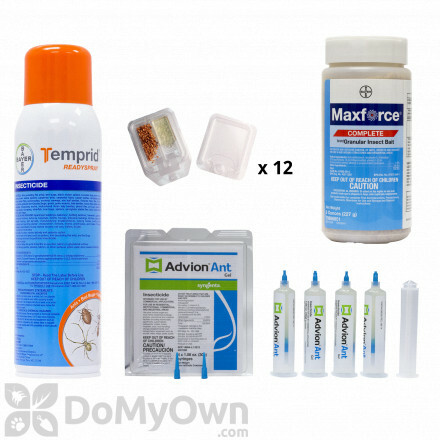 From our indoor ant kits to baits and traps, we have what you need to combat an ant infestation in the home. 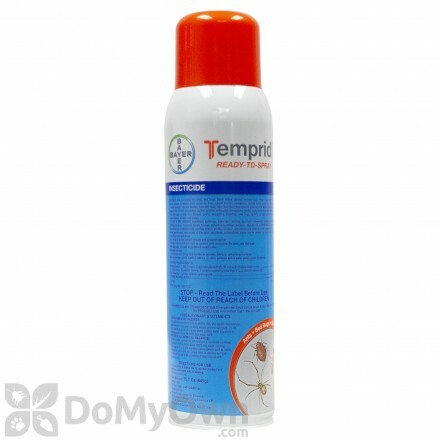 A professional ant gel for indoor and outdoor control of ants that is highly attractive and long-lasting. Ants can invade your home from the outdoors, crawling inside through cracks, crevices, windows, and doors. 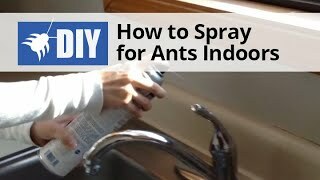 When treating for ants indoors, you must first sanitize and prepare your home, then treat using baits and sprays labeled for ants. Treating without sanitizing first will cause ants to continue to return as the core problem is not addressed. Ants are attracted to food and water, so eliminating as many food and water sources from your home as possible will make ants less attracted to your home. Sanitation of your kitchen, bathrooms, and other areas of your home requires dedication and hard work, but is necessary for an ant-free home. Clean Kitchen Appliances - Ants in your kitchen can live off grease and food spills under and behind your appliances. Clean under and behind the stove, refrigerator, microwave, toaster, dishwasher, and around and underneath the sink. Empty and Clean Cabinets - Crumbs and food spills from stored food products provide a buffet for ants. Clean to eliminate this food source. Keep Food in Sealed Containers - Ants are small enough to get into the cardboard packaging or loosely closed boxes and bags. Store food in metal, glass, or hard plastic sealable containers. Limit food consumption to one room of the house - Keeping all food and eating in one area of the home will eliminate crumbs and food spills and limits your infestation to one area of the house. Clean the kitchen thoroughly each night before bed - Ants come out to feed at night, so cleaning the kitchen each night will leave nothing for foraging ants to eat. Wipe down kitchen countertops, wash all dishes, clean floors well, and put away all food. Vacuum or sweep all other non-food areas of the home every few days - Picking up stray crumbs and ant feces, skins, body parts, and egg sacs, which contain pheromones that attract other ants to the same areas, will help keep your home clean. Ants drink water and while it is difficult to get rid of all water sources, you need to eliminate as many as possible. Empty pet water dishes and dry them at night. Refill in the morning. 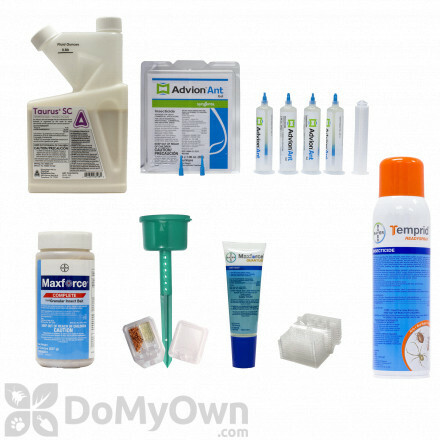 Once you have begun sanitizing your home, take a look around for entry points for ants. If you can find where the ants are entering the home, you can block that entry point to prevent ants from entering. 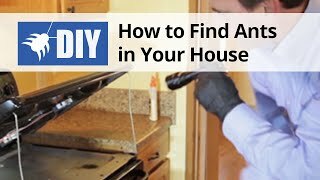 Seal cracks and crevices around window frames and door frames, around baseboards and other places where you have noticed ants entering the structure with caulk or other suitable material. Seal holes around cables pipes and wires with copper mesh or other suitable material. 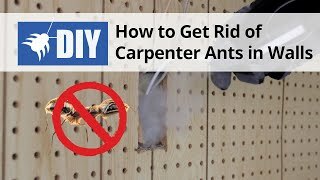 After sanitizing your home, eliminating food and water sources, and eliminating harborage and entry points, it is time to treat your home for ants. 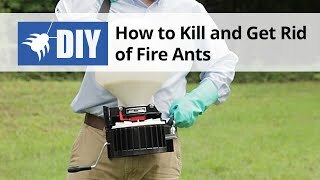 We recommend using three products to eliminate ants: an ant bait gel, a granular ant bait, and a non-repellent aerosol ant spray. 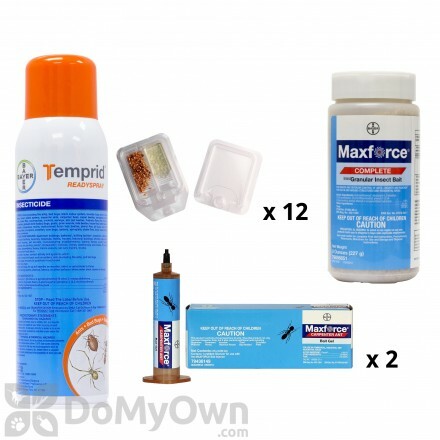 We have included these three products in our Indoor Ant Control Kit, which can be purchased here. 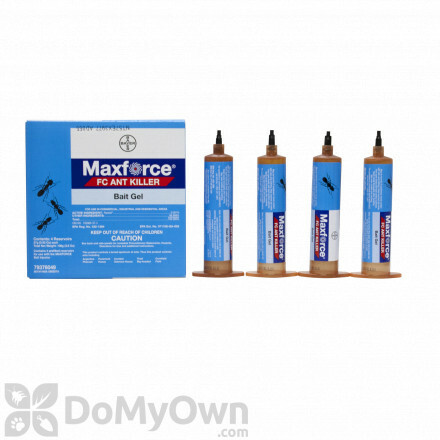 Place ant bait gel in areas around the kitchen and bathroom where ants have been seen. 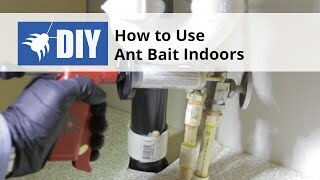 To keep the ant bait fresh, we recommend placing the bait on bait plate stations, which are also included in the indoor ant bait kit. 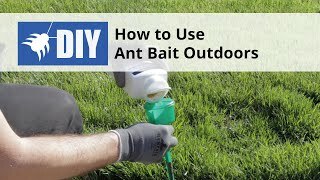 Do not put bait in the middle of an ant trail or on the ants themselves, this will make ants avoid the bait. 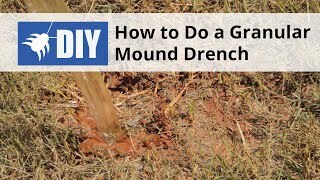 You can also add granular ant bait to the bait plate stations and in cracks, crevices, and other hard to reach areas where ants may live. Sometimes, ants have a steady, hidden food source and will ignore baits. By spraying a non-repellent ant spray in addition to baiting, you will have the best possibility of controlling an ant infestation. Ants will pick up the active ingredients of the indoor ant spray on their bodies and bring back the active ingredient to their nesting areas, spreading the active ingredient to other ants. It will take several days for the spray to begin killing the ants. 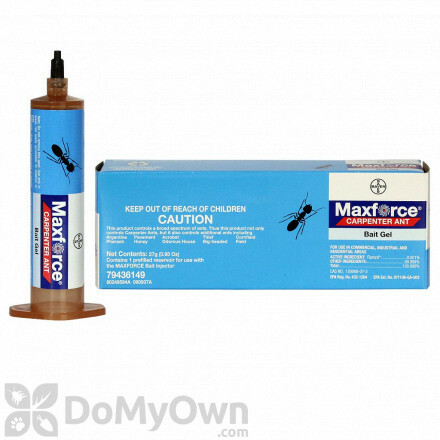 During these days, the active ingredient is being spread to multiple ants within a colony.